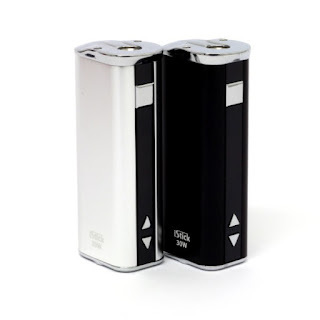 Eleaf iStick 30W is the much improved mini box mod over the original iStick 20W by Eleaf. The 30W comes with the ability to fire down to 0.4ohm, which means it will work with sub ohm tanks like the Kanger Subtank Mini and the Atlantis 2. For beginners you might not necessarily want to sub ohm vape, to begin with, but having the option of being able to do so, is a big positive with this mini box mod. The iStick 30W also comes with an additional 10Ws of power compared to the original 20W model. It is a tiny box mod and well-priced at around $35. The added power on the iStick 30W and ability to sub ohm vape, means that the iStick 30W is a great choice for those looking for a tiny box mod that doesn’t cost too much budget.